Size: approx. 6 mm. Photo: 04/28/16, 10 pm. 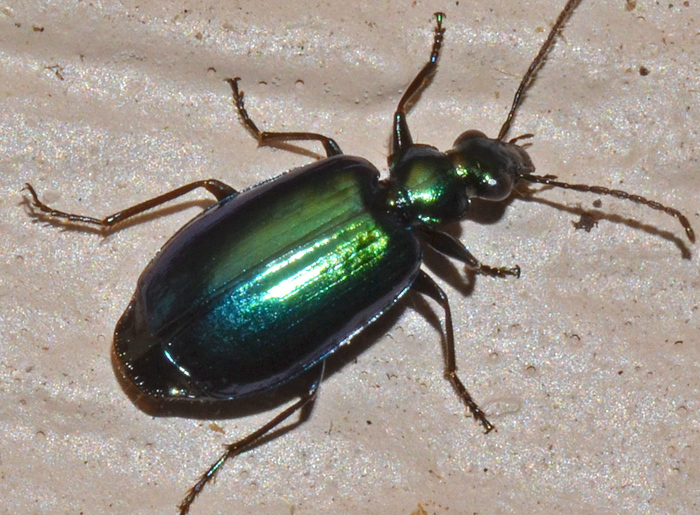 This Colorful Foliage Ground Beetle is Lebia viridis. The species is wide spread, common, and shiny. The beetles are predatory on small insects.